Play your way around the world, visit five different vacation destinations and more than 30 variations of this classic game! 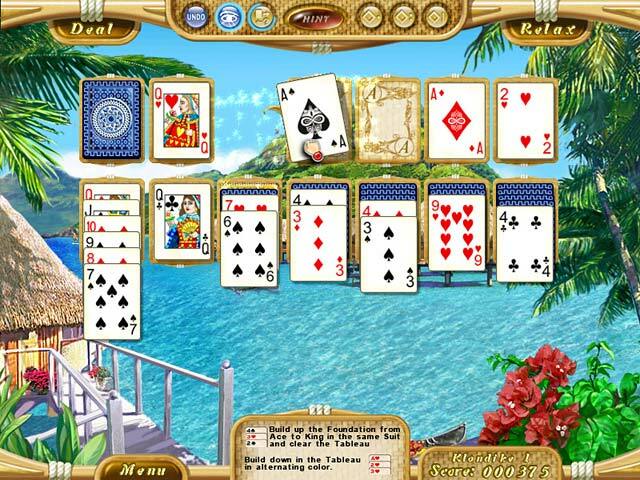 Take your dream vacation, sailing from one beautiful location to the next as you play solitaire for points and prizes. 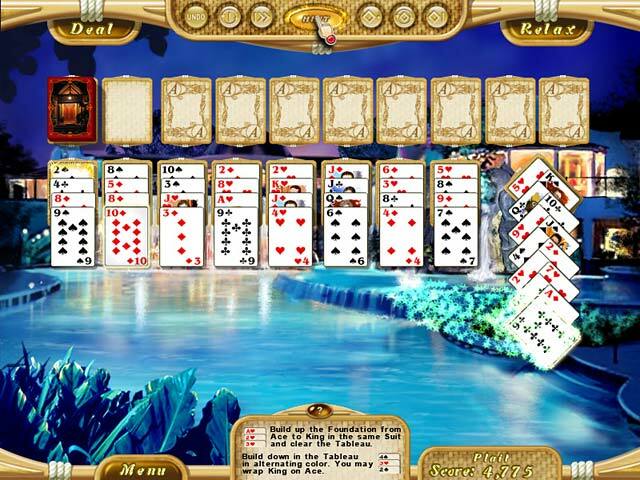 Interactive tutorials give you a refresher course on old favorites like Klondike and FreeCell, as well as show you how to play games you may not have seen before. Dream Vacation Solitaire features more than 30 games including: Sea Towers, Grandfather, Old Clock, Scorpion, Big Forty, Easthaven, and Blind Alleys. Making matches and combinations gives you access to power moves that let you clear the boards with ease. And if you do well enough, you'll earn medals, trophies, and even new yachts to sail to the next vacation paradise!